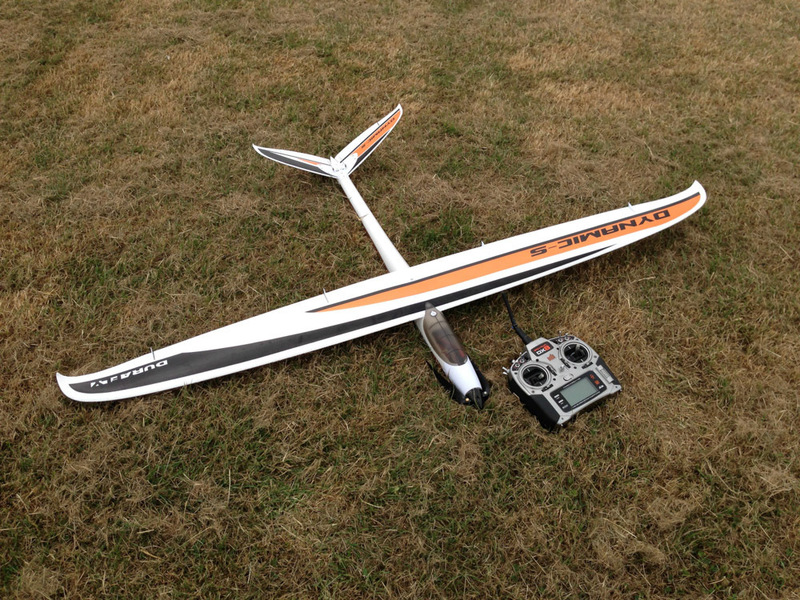 After a while I got a little bored with the Phoenix 2000 and decided I wanted something more agile and nimble to fly. 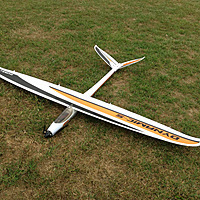 I remember seeing a ST Blaze fly whilst down on the Isle of Wight and was very impressed by it. 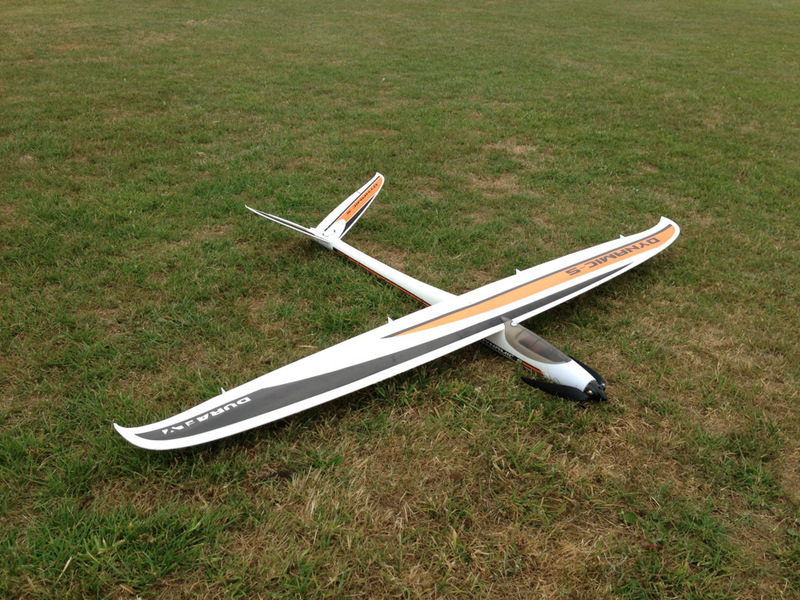 There seem to be two copies of this airframe available at the moment, the ST models one and the Dynamic-S as sold by Hobby King. Â I needed Â a few batteries for another project so figured I might as well get the HK version at the same time. 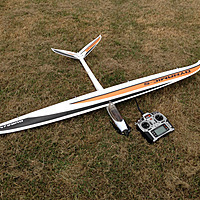 Currently it is completely stock, I just plugged in a Spektrum RX and grabbed a couple of Turnigy NanoTech 1800mAh packs to power the thing. 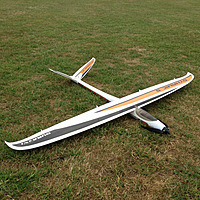 So far its proving to be great fun, although I’ve only really flown it from a flat field. Hopefully I’ll get it out on the slope with it soon. I took a few pics of it in the garden before the maiden, they can be seen below. You can see a list of all the posts about the Dynamic-S hereÂ and any bookmarks I’ve saved while researching here. 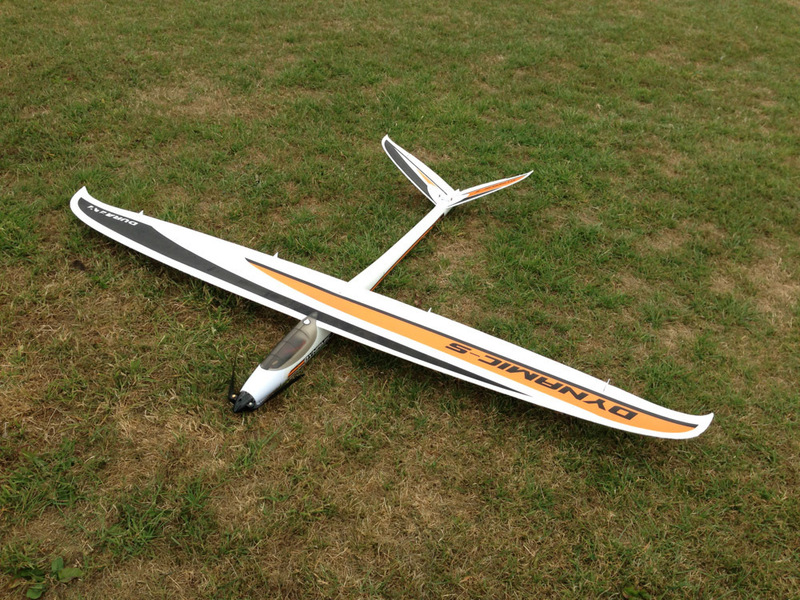 This is still being flown whenever I am down in Wiltshire, which is once every couple of months or so, as you can see here I managed to break the fuselage, but that is now long since fixed. It is proving a very enjoyable aircraft to fly, given a bit of a blow it can slope without power very nicely but if the wind drops it has plenty of power to haul itself around the sky at speed. I have also mounted my 808 cam on the wing a few times to capture videos of flights.